Perl (the Practical Extraction & Reporting Language) is an interpreted programming language that is optimised for text processing. As such, it is well suited for generating reports based on data extracted from files. 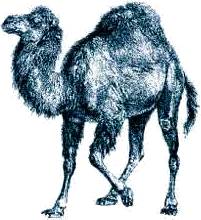 Perl is available on all major operating systems including Unix, Linux, Windows, OS/2 and Mac/OS. The language interpreter is freely available, as is a vast amount of pre-written code. The major use for Perl has been CGI scripting (it is estimated that over 90% of CGI scripts are written in Perl). Recent versions of Perl have included object-oriented features.